Dress and Belt: Anthropologie. Jacket: Vintage. Bag: Vintage. Shoes: Leifsdottir. Watch: Vintage. Bracelet: Forever 21. This is actually what I wore on New Year’s Eve, but I never got a chance to snap photos that evening so I figured I would get all fancy for no reason in particular. Playing dress up never gets old. Great outfit. 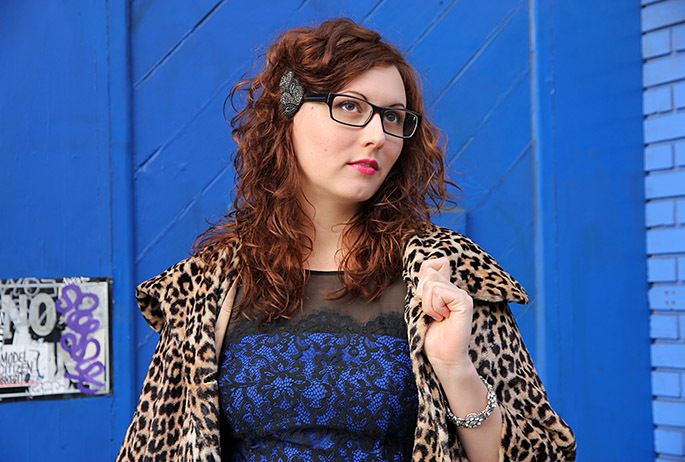 I love that bright cobalt blue with the black lace and the leopard coat! So pretty. 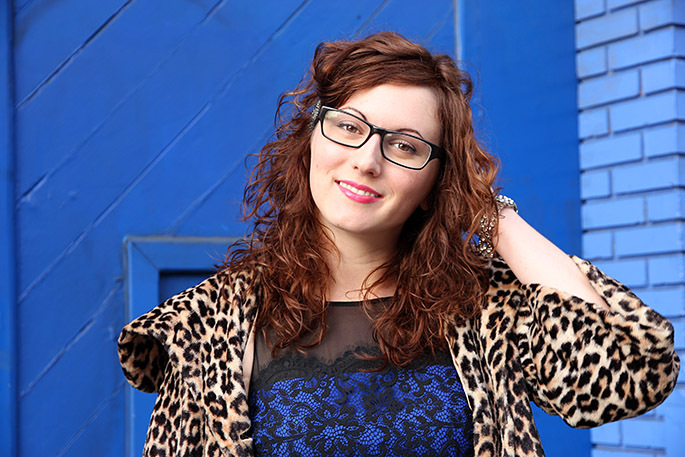 The cobalt with the leopard is one of my favorites! So pretty, pal! Love the blue! A beautiful dress, I love the color and fabric. The lace is cute. The jacket is beautiful and the bag also. Gorgeous outfit. The lace dress is awesome and those shoes are yumm!